Hoboken has long been a creative city and remains the home of many artists, makers and creators. The art community plays an important role in making our neighborhoods unique and vibrant places to live, and I’m always looking for ways to get our creative minds more involved in putting Hoboken back on the cultural map. Walking through the city, you’ve probably noticed metal PSE&G and Verizon boxes that send power to street lights and connect our phones. These boxes are dull, dirty, and in many cases even an eyesore. But what if they could be something more? We can offer these boxes to local creators to utilize as blank canvases to bring color and art to our streets. Not only does this liven up our neighborhoods, but it shows our support to art community by giving artists a space to show their work to thousands of people each day. 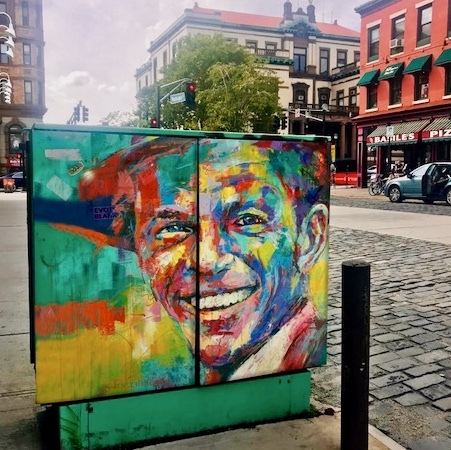 At tomorrow’s City Council meeting I will be introducing a resolution urging PSE&G to use our local artists to beautify these electrical boxes, beginning with Washington Street and other high traffic areas of Hoboken. This is the type of program that can make our city even more attractive to visitors and residents alike, helping our small businesses at absolutely no cost to taxpayers. I look forward to working collaboratively with other members of City Council, the mayor and his administration as well as with PSE&G to enact this culturally enriching initiative that embraces art in our communities.